Momentum is building in the lead-up to the inaugural Triple Crown at Cowes Week – the new mini-series for Big Boats holding its first edition in 2017. Cowes Week Ltd is delighted to announce the confirmed participation of the Volvo Ocean Race fleet and the super-maxi CQS, setting the scene for what promises to be some stunning and highly competitive racing. The Volvo Ocean Race fleet will be using the Triple Crown Around the Island Race as the first part of the race’s mandatory Leg 0. It will be the first time that the Volvo Ocean 65 fleet line up in ‘race mode’ ahead of the start of the 2017-18 edition from Alicante, Spain on 22 October. Their training will be put to the test as they face the challenges of racing in the Triple Crown at Cowes Week and, crucially for the teams, check their performance against their competitors less than three months ahead of the real thing. 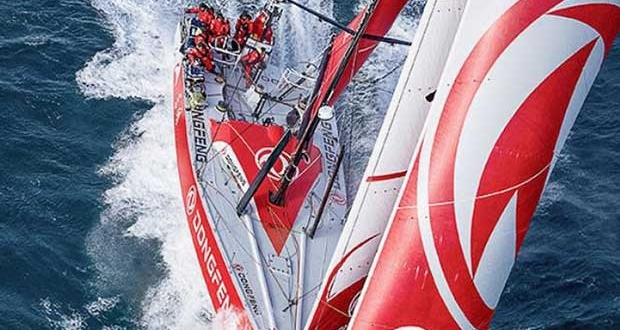 Commenting on their participation in the Triple Crown, Charles Caudrelier, Skipper of Dongfeng Race Team said: “Participating in the Triple Crown Around the Island Race will be a great challenge for the Dongfeng Race Team. The Chinese crew members have come a long way since we previously raced around the Island in 2014 and it will be exciting to be lining up with the rest of the Volvo Ocean Race fleet so we will be curious to see how we do. 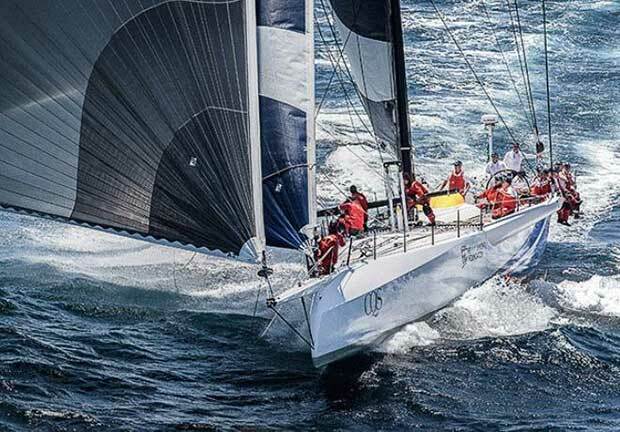 Another entry is Ludde Ingvall’s yacht , the revamped super-maxi, CQS (formerly known as Nicorette), which was launched in New Zealand in 2016. Originally 90ft, it has been stretched to 100ft and fitted with several new features including a reverse bow, DSS foils, an outsized bowsprit, and ‘wings’ to spread the shroud base supporting the mast. The transformation took over a year, and the result is a striking super-maxi with racing success firmly set in her sights. The Triple Crown at Cowes Week is a regatta within a regatta, open to large IRC rated racing boats up to 36m LOA. With a potentially wide range of boats expected to enter, from out-and-out racing boats to cruiser-racers, three classes will compete for the Triple Crown: Maxi-Racer Class; Cruiser-Racer Class (both with a minimum TCC of 1.500) and an Ocean-Racer Class (minimum TCC of 1.400). A series of three races will take place on the Tuesday, Wednesday and Thursday of Cowes Week, with the Wednesday race being designated an Around the Island Race. Three of the sailing world’s most historic and prestigious trophies will be awarded to the three classes: The Queen’s Cup, presented to the Royal Southampton Yacht Club by Queen Victoria in 1897; The King George V International Cup (also known as the White Heather Cup) from the Royal Thames Yacht Club, a huge flagon that was awarded for the 23 metre class in 1911 and won by White Heather II and the Royal Yacht Squadron’s King’s Cup 1920 which was presented by King George V in 1920 for a race for yachts exceeding 100 tons. The overall winner of the three races will be presented with the Triple Crown trophy.